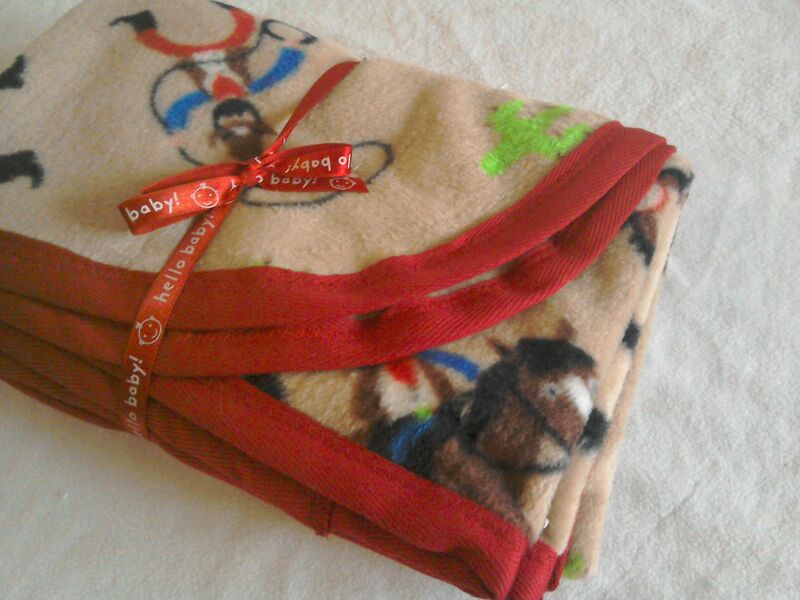 We have made this blanket from the softest polar fleece. 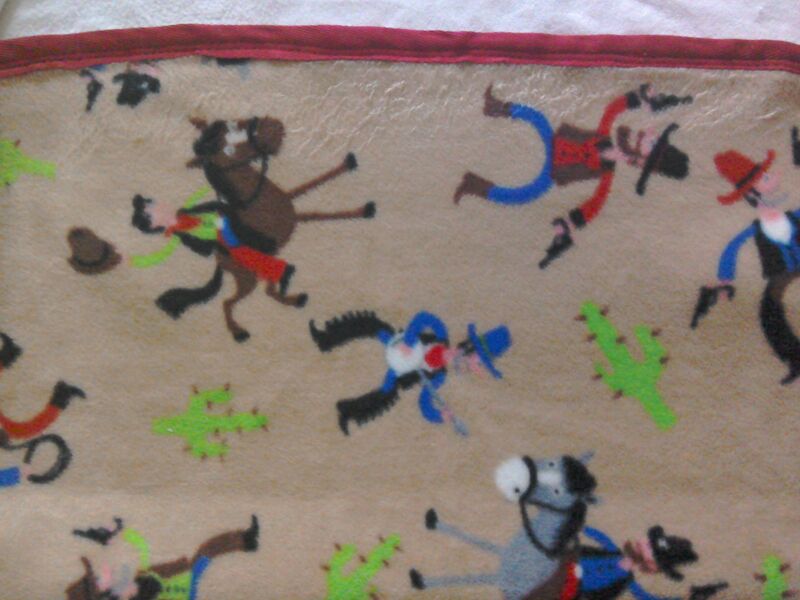 It comes in a lovely cowboy design. 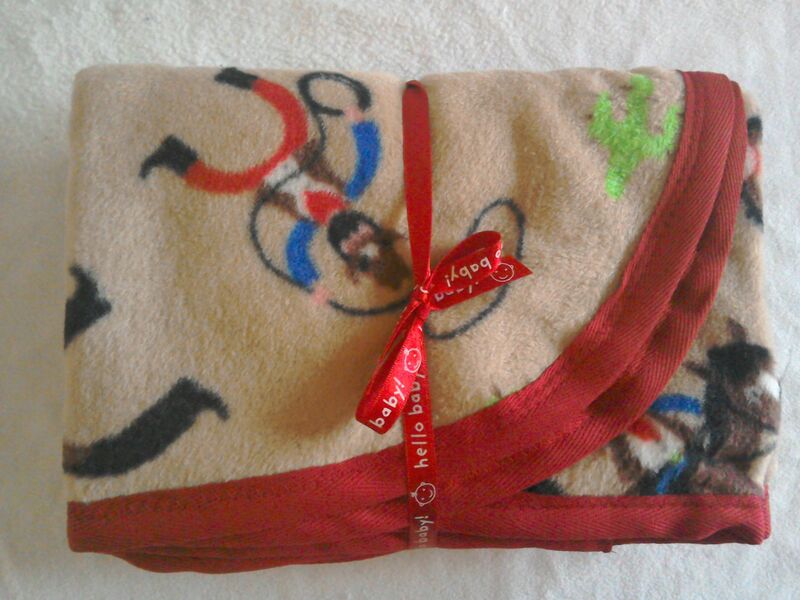 Suitable for your little precious one to snuggle under. 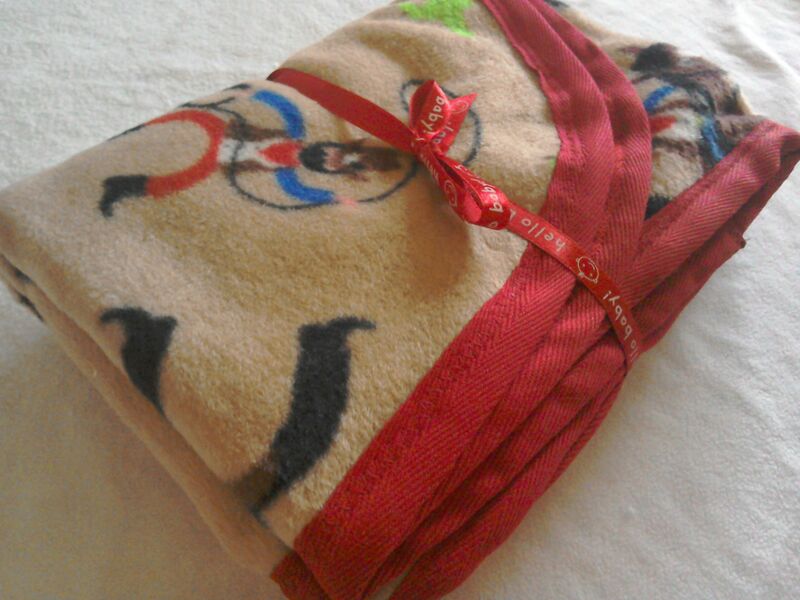 It is approximately 75cm *100cm and edged in a lovely red binding, the pictures don't do it justice. Only a couple available so don't hang about if you like it!